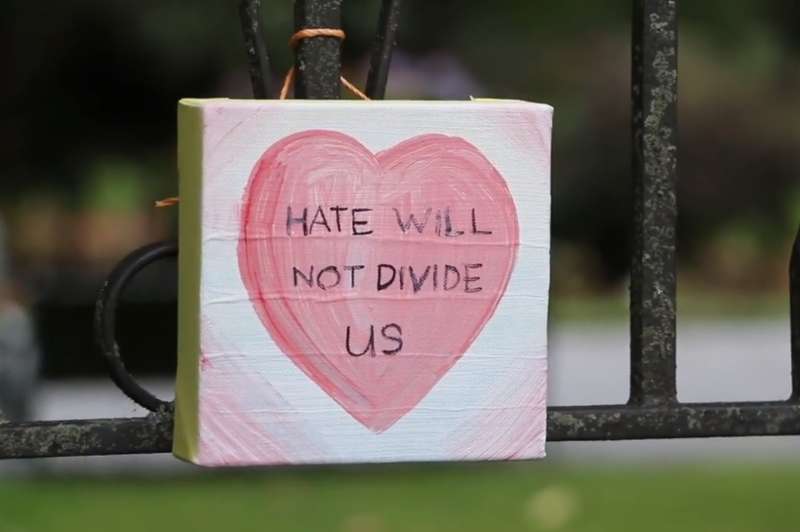 The second video was created by Macquarie College senior students who wished to pay their respects to the victims of the Christchurch mosque shootings, states the video description on the school’s Facebook page. Several students, as well as faculty and staff, are featured throughout the video, sending love and prayers to the victims in Christchurch. The Macquarie College School community was devastated by the senseless killings that took place on Friday in Christchurch. The attack flowed from minds that were infected with racial superiority and religious prejudice. It was an attack on a faith tradition and as such, it was an attack on freedom and humanity. As a school community, we've been engaging with Jesus' teaching about who our neighbours are. When we think about that authentically we understand that Jesus calls us to love one another regardless of creed, culture or ethnicity. On the Sunday after the massacre, Macquarie College staff were invited to attend a commemoration service at the Wallsend mosque. This was a moving experience that highlighted the love and tolerance that we share with people of all faith backgrounds. Many of our students had been personally affected by the attacks and were experiencing confusion, fear and heartache. To respond to this, the chaplaincy team decided to prepare a special segment in our Week of Spiritual Emphasis that would show solidarity with our hurting community and a Christ-like response to those affected. While preparing for this, the team was approached by a Year 8 Muslim student who wanted to present a speech about the dangers of racism and xenophobia. The Senior School Chaplain Joshua Goss and the Coordinator of Religious Studies Carmel Roenndfeldt stood with her as she shared her pain and plead with her peers to be the generation that stood up for religious tolerance and love. She inspired all of us to show compassion and empathy. She highlighted that in the places and spaces we share, our voices are powerful and that we need to use our voices to uplift others. The Youth Pastor of our Campus Church Jake Whittaker lead us into worship as students brought candles up to remember the 50 lives lost. As a community that strives to follow King Jesus and his teachings, our deepest condolences go out to all those families and friends who are suffering at this time. May God show his healing love to each of you. South Pacific Division President Glenn Townend responded to the tragedy via Facebook on Friday, and the North American Division issued a statement on Tuesday. *Kia kaha is a Māori phrase used by the people of New Zealand as an affirmation, meaning stay strong (definition from Wikipedia).